Tickets for the event are available in the Office of the Bursar, located in Whitewater Hall. The event is free and open to the public. Wazir Mohamed, assistant professor of Sociology at IU East, and member of IU East’s Commission on Diversity and Equity, said Jensen is widely known in the academic world and in the community at large as an independent and fearless intellectual whose scholarship and scholarly presentations address the structures of division in our culture. Kriese adds that unless an individual is a target for unconscious racism, then people are not aware that it exists because this reality is not a part of their own reality. Apart from the public lecture, Jensen will run a workshop for students on the topic of one of his many books, The Heart of Whiteness. He will also engage faculty and staff in an open dialogue on the topic “The Invisibility of Race.” This is in addition to discussion forums with officers of the Wayne County Sherriff Department and officials and departments of the city of Richmond on institutional racism. Jensen is a professor in the School of Journalism at the University of Texas at Austin and board member of the Third Coast Activist Resource Center in Austin. He joined the UT faculty in 1992 after completing his Ph.D. in media ethics and law in the School of Journalism and Mass Communication at the University of Minnesota. 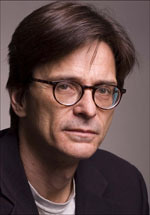 Prior to his academic career, he worked as a professional journalist for a decade. At UT-Austin, Jensen teaches courses in media law, ethics, and politics.